Contracts seal the fate of international transactions. Whether they stand on firm legal ground may hinge upon a minute detail. 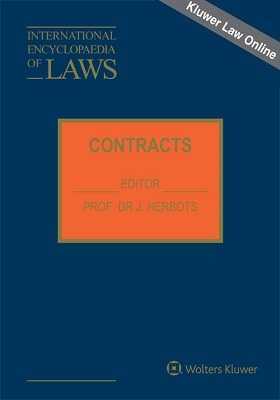 The Contracts subset of the International Encyclopaedia of Laws sheds light on "the fine print" in the world of contracts, helping ensure the viability (or probe the non-viability) of these detail-oriented instruments. The Contents of a Contract. The Termination of the Contract. Building Contracts, Hire of Work and Skills. Lease, Commercial and Agricultural Leases. Contracts with the Government and Other Public Administrations. GENERAL SECTION: List of Contributors; Introducing the International Encyclopaedia of Contracts; Curriculum Vitae of the Editor.